Using our Income Statement template and instructions you are equipped to prepare a meaningful statement of your Revenues, Expenses and Income. Profits are of paramount importance to every prospective lender or investor, so you must demonstrate you have a keen awareness of where the money is coming and going. 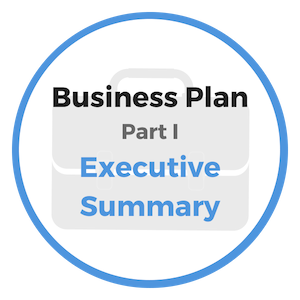 As we explained in the previous section, the Balance Sheet provides a snapshot of your business Assets and Liabilities at a single point in time. The Income Statement, however, highlights revenue and expense activities through a specific time period. The income statement highlights the following areas of interest - gross sales, cost of goods sold, expenses, net gains or losses. Use our free Income Statement Template to get started. Note: Be sure you do not confuse Revenue for Cash Receipts as they are not the same. Revenues are credited to the income statement in the same period as when the sale is made, even though you may or may not have received payment at that time. Where the balance sheet is organized and viewed as “left and right”, the income statement reads “top down”. 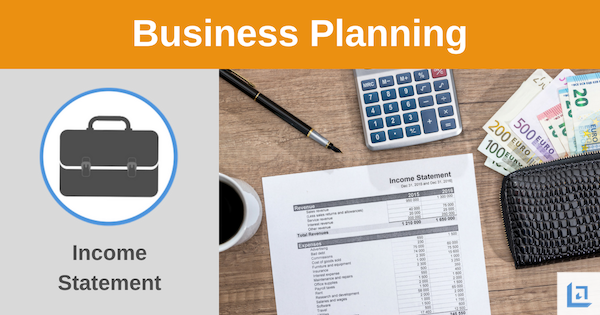 When viewing our Income Statement Template as part of the business planning process, realize that potential investors are extremely interested in net profits. After all, their business is to make money on their investment, so they will be very specific in their questions to you about how you intend to earn your income and how you will report it. Gross Sales Revenue = proceeds from products or services sold to customers. (minus) Cost of Goods Sold = expenses that are due to the cost of materials used to create the product sold. (equals) Gross Profit = this is another name for gross margin, simply a reflection of revenue minus cost of goods sold. (minus) Operating Expenses = expenses not associated with cost of goods sold. Examples, like salaries, marketing and others are listed on the income statement template. (equals) Net Income before Interest and Tax Expense = this reflects net income prior to deducting both interest expense and tax expense. (minus) Interest Expense = expenses associated with the interest paid on payment made outstanding company debt. (minus) Income Tax Expense = expenses associated with the taxes paid to federal and state agencies. (equals) Net Income = this reflects the final profit made after all expenses are taken into account. 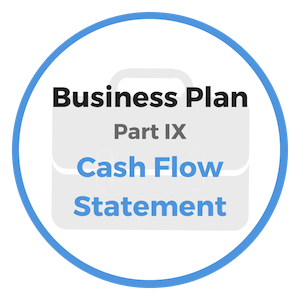 It should be noted that depending on the type of business, the format of any income statement template may vary. 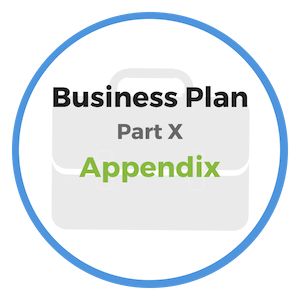 Some businesses choose to break down operating expenses into many sub-categories and some may list out the depreciation expense as its own separate line item. Regardless of how many categories are used, all expenses must be taken into account prior to listing the net profit. A formal income statement should be prepared monthly so the business owner can stay informed about the sales revenue, expense and net profit trends of the business. "The longer you’re not taking action the more money you’re losing." Countless number of professionals without any special ability in business have succeeded financially by means of a courteous manner. Many commercial businesses owe their success in large part to their ability in selecting employees and sales representatives with pleasing manners and personalities. As you build your business plan be certain to mention the strengths and attributes of your key employees. In addition, you want to provide your strategy for choosing new hires into the organization. As you grow the business choose new employees through great analysis and care. Courtesy is one of the key essentials in any service or sales-oriented business. Rest assured, all sales and service skills being equal, the employee to select for advancement is the one who possesses good manners, a fine graceful disposition and a confident presence. Qualities such as courtesy provide one of the best kinds of capital. 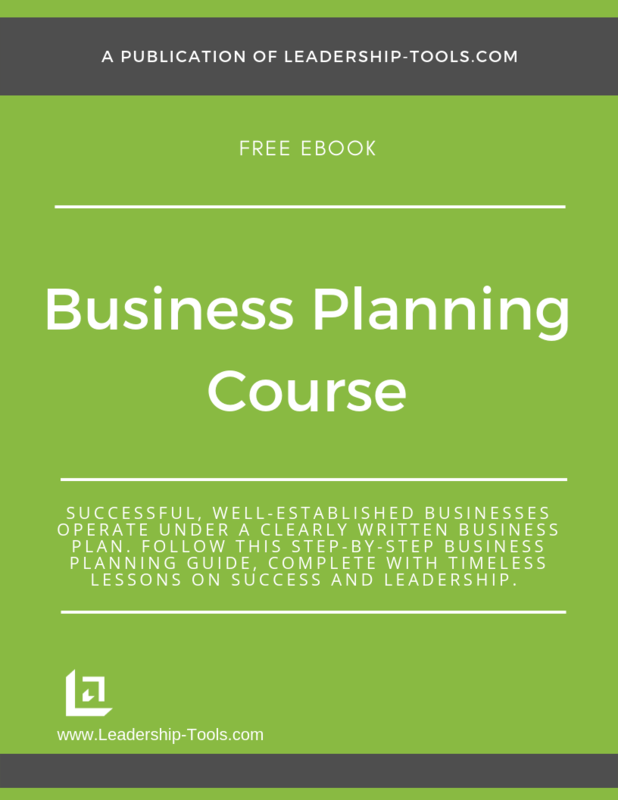 To download our free Business Planning Course/eBook, complete with details on the income statement template and step-by-step instructions for planning the future of your business, simply subscribe to our free newsletter. You will immediately receive a password that grants access to our entire leadership tools library.